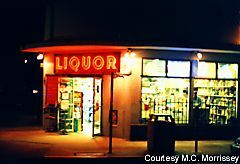 See more roadside neon such as the liquor store glow from Southern California at Roadside Peek's Roadside Neon San Diego. 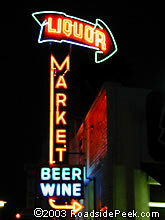 Southern California is home to many an eatery featuring roadside food and neon signage to boot. 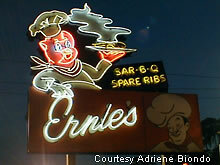 See many examples here at Roadside Peek's Neon Eateries Southern California. How about the great signs? Well, Southern California has its fair share. of good roadside signage See some of them at Roadside Peek's Neon Signage Southern California. Don't forget the ten pin alley treasures, especially the great bowling alley signs that seem to be disappearing at an alarming rate. 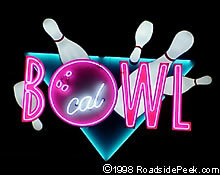 Check them out at Roadside Peek's Neon Ten Pin Alleys Southern California. 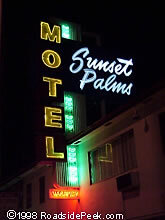 Check out the neon motels in the Southern California area at Roadside Peek's Neon Motels Southern California. 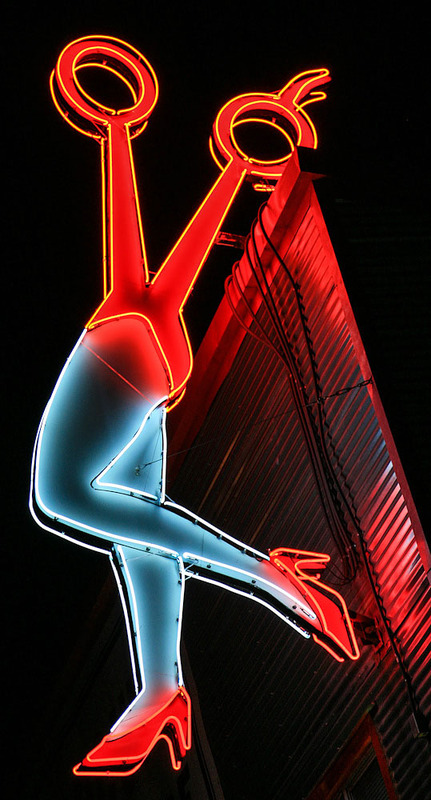 Like most areas, Southern California has quite a movie palaces, some still with their neon blades intact. 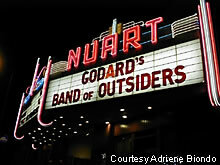 See some of them here at Roadside Peek's Neon Theatre Southern California.